Your Newport Be ach accident injury law firm has witnessed many defense attorney tactics. 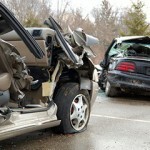 Here are two to be aware of and the way your Newport Beach accident injury attorney may counter them. With this tactic, the plaintiff or witness is in the midst of their deposition when some defense attorneys will ask the same question many different ways. Why? Because the more a witness is forced to answer the same question the more likely it is an inconsistency will arise. In addition, the more a question is repeated, the more unneeded details creep into the deposition. If your Newport Beach accident injury law firm sees that this is occurring, they will likely point out that the client has been asked and has answered the same question several times. They may also let the defense attorney know that the plaintiff may be instructed to refrain from answering if the tactic continues. Another tactic witnessed by your Newport Beach accident injury law firm is the “off the record” tactic. Some attorneys will request to “go off the record” while inappropriate comments are made. If this occurs, the plaintiff’s attorney will be able to refuse the request. In other words, the plaintiff’s attorney will instruct the court reporter to keep all comments on the record. A request to stay on the record overrules a request to go off the record; therefore, unless both sides agree, the comments will stay in the deposition.